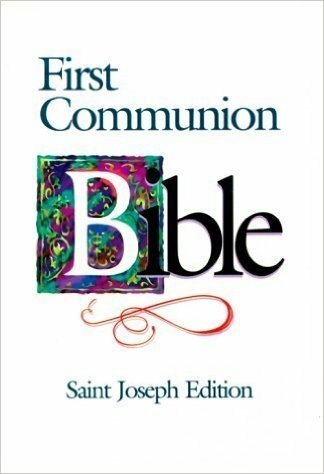 The St. Joseph First Communion Bible from Catholic Book Publishing contains the complete New American Bible Old and New Testaments in easy-to-read type. Includes a full-color First Communion Certificate, Presentation Page, and a Prayer Section containing the Lord's Prayer, a listing of the Sacraments, the Rosary, and the Apostles' Creed. This St. Joseph Bible from Catholic Book Publishing, specifically designed for First Communion, makes a beautiful gift edition that will be treasured and used for years to come.